As part of its year-end toy car promotion, industry leader Petron Corporation is offering the country’s first scale-model collection of Pagani Automobili hypercars. 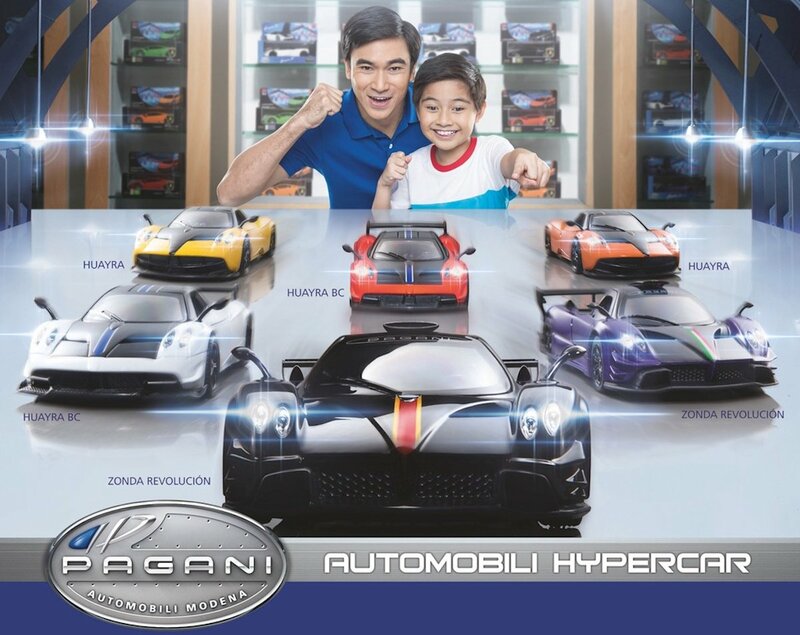 Like its previous promos, every P 500 single or accumulated purchase of fuels as well as engine oils at participating Petron service stations entitles customers to buy one Pagani hypercar for only P 300. The Petron Pagani Automobili Hypercar collection features 1:32 scale models made from diecast metal. Pushing a button opens the doors; close the doors and the car accelerates and drifts. Three models, all specially licensed from Pagani, are included in this collection: the Pagani Zonda Revolucion which is available in black and purples; the Pagani Huayra in yellow and orange; and the Pagani Huayra BC in red and white. The promo is available at 1,400 participating Petron service stations nationwide and will run from today to November 11, 2017. Bring back the Bently Continental GT3 Concept! you want to buy mine? gonna cost you a lot tho.